Wagh Bakri, the 3rd largest packaged tea company in India from the stable of Gujrat Tea Processors & Packers Ltd, is now gearing up to tap the rural Indian market aggressively with one of its sub-brand ‘Mili’. The company has got a new television commercial (TVC) done by Mudra with popular television and film actress Sakshi Tanwar of Ekta Kapoor’s “K”-series fame to emotionally connect with rural customer base, said Parag Desai, executive director, Wagh Bakri Tea. The company, at present, has three sub-brands—Good Morning, Mili and Navchetan under the mother brand-Wagh Bakri. The company also seems well set to get into instant tea, ice tea, summer drinks, mostly for the urban markets, he said. Simultaneously, Wagh Bakri has lined up plans to expand into new geographies like Jordan, Russia, and West Asia. At present, between 3 and 5 per cent of its total sales comes from exports. However, the company is expecting its export percentage to go up to 10 per cent of its total sales over the next three years. In volume terms, at present, Wagh Bakri exports nearly 1 million kg of premium tea to more than 30 countries including the US, the UK, Australia, Canada, New Zealand, Oman, Kuwait, Dubai, to name a few. Wagh Bakri’s product portfolio includes Wagh Bakri Premium Leaf Tea, Wagh Bakri Perfect, Good Morning premium tea & tea bags, Good Morning Green Tea Bags, Good Morning English Breakfast tea bags, Wagh Bakri masala tea & tea bags, Wagh Bakri OrganicTeas, Wagh Bakri Pure Darjeeling Tea, Tea Quick, Mili, and Navchetan. If the company is exploring the rural Indian market with TVCs, the company is leaving no stone unturned to popularize and position its brand for the urban consumers through putting up premium 5-star tea lounges. At present, the company has put in place a chain of as many as 15 such tea lounges across Mumbai (4), Delhi (4), Goa, Jaipur, Ahmedabad and few smaller format tea lounges at airports, hospitals. “We are waiting for the GST issue to settle down, the ensuing the Union Budget give some clarity on certain issues. And then depending on the realty prices and local preferences and demands we will take a call on further expansion with regard to Tea Louonges. Wagh Bakri tea under different brands are currently available across 11 states in the country. The company is now looking at new markets in Andhra Pradesh, Karnataka, Himachal Pradesh, Uttarakahand, J&K. 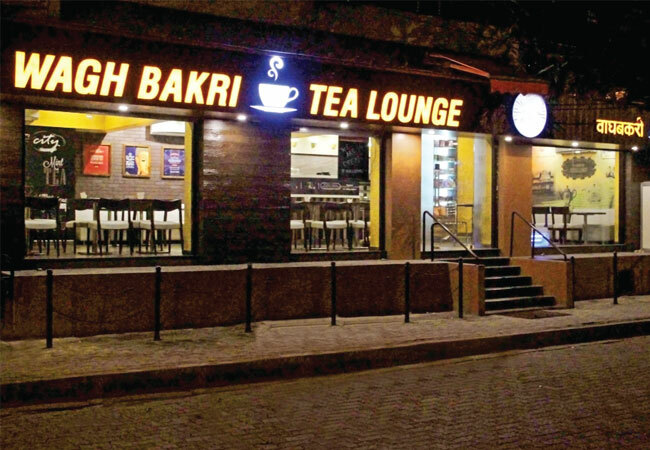 The company is simultaneously drawing up plans to increase the number of Wagh Bakri Tea Lounges in different parts of the country (where its tea is available) to increase brand presence and visibility. Tea companies are increasingly getting into initiatives to improve the sustainability of tea cultivation and production responding to Tea Board of India’s call. After Tata Global Beverages and Hindustan Unilever, Wagh Bakri Tea, has also joined the sustainable plant protection formulation initiative and scientific research in crop protection practices to further improve tea cultivation in India. The company has already established in-house laboratory accredited by National Accreditation Board for Testing & Calibration Laboratories (NABL) under the department of science & technology for chemical testing of tea as per standards ISO/ IEC 17025:2005 for sustainable, responsible sourcing & partnering. Under the guidance of Tea Board of India, TRA (Tea Research Association), key industry partners like ITA (Indian TeaAssociation) and UPASI (United Planters Association of South India), it is designing protocols for pilot field-trials aimed at developing and evaluating novel approaches for biological, ‘non-pesticide’ management of pests aiming at a holistic rejuvenation of the eco-system including herbal and sustainable sourcing for common man. Wagh Bakri has also teamed up with IDH of Netherlands to run Trust Tea Programme in this regard, said Desai. With all its plans in place, the company is looking at a fairly decent 10 per cent growth and taking its turnover from Rs 1000 crore to Rs 1100 crore next year.